You've got questions, we have the answers! Unfortunately, when the time comes, family members are often overwhelmed with many choices and decisions. Being "Mavens" (authority) on Jewish Monuments and memorialization, we simplify your process by sharing our knowledge with you. When should a Jewish monument be installed ? Most common custom is to erect a Jewish monument anytime before the 1st anniversary of passing ("Yahrzeit"). Hasidic circles​ usually erect monuments immediately following 7 days from passing ("Shiva") or 30 days from passing ("Shloshim"). Jerusalem Jewish monuments are generally erected 30 days after burial. ​There are many factors involved and initiating the order early on is better than trying to rush the process later. Note: For a winter or spring unveiling, monuments should be ordered by fall as cemeteries generally do not install foundations in the winter. 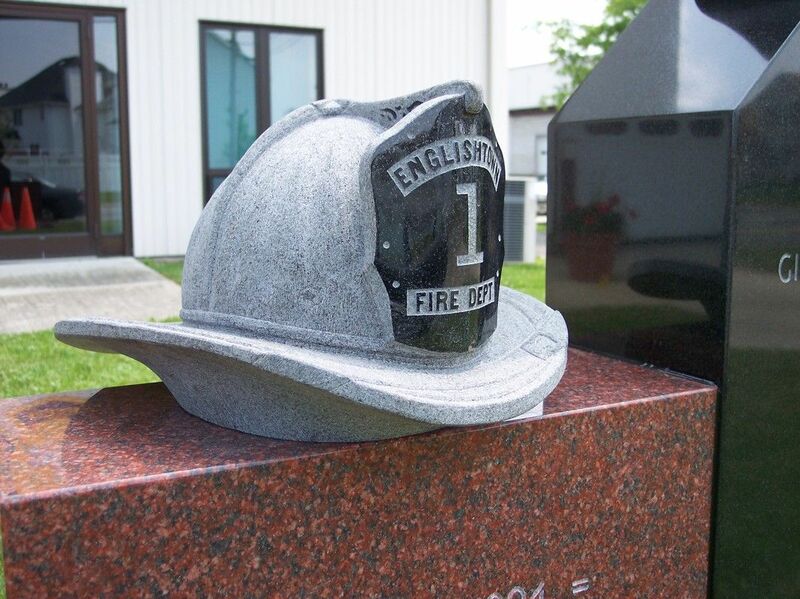 Monument installation takes 8 – 12 weeks​ for most monuments or as early as 1 week for rush orders (restrictions may apply). Depending on the season, we may need to delay installation & store the monument until the cemetery completes the foundation. What type of memorialization do I need? There are many variables depending on the cemetery and the location within the cemetery. Simply fill out the​ Info Request Form. We will review your information and cemetery rules and provide you the options. ​Your monument will be cemetery approved. Guaranteed. ​​How do I copy an existing monument for a family member interred nearby? Simply use our Duplication form. We will send a field representative to the gravesite. Specifications will be taken of the existing headstone to assure an accurate duplicate ​. ​​Can you supply me with a granite base for my veteran marker? ​What kind of memorial is suitable for the spouse of a veteran? A matching marker is the most suitable memorialization for a spouse. 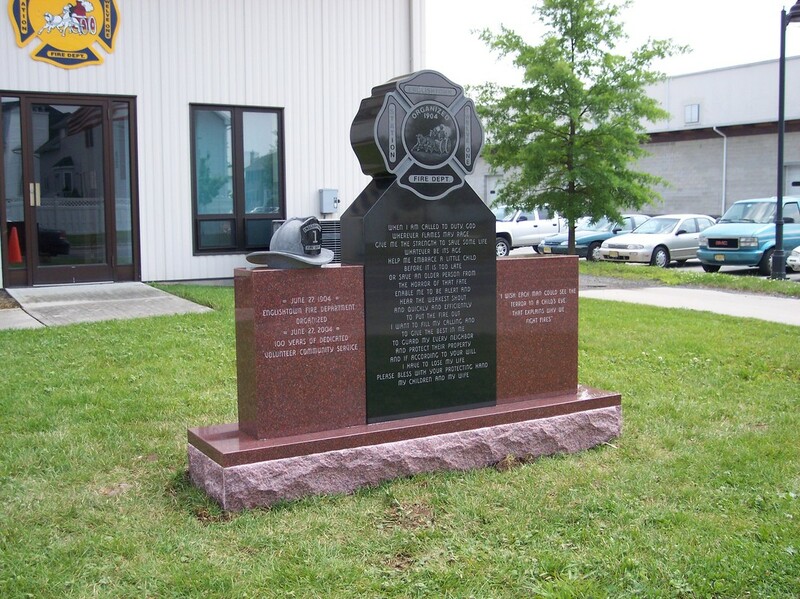 We can duplicate the existing veteran marker whether it was cast in bronze or carved in granite. Ho do I decide if I should buy a single monument or a double monument? - A single monument can be a tribute to the uniqueness of the individual. Single headstones generally allow for longer inscriptions. A single headstone spares the surviving spouse the awkward feeling created by the not-yet inscribed second half of the headstone. A corresponding single monument can be replicated for the spouse in the future, to match the original. -A double monument signifies a life shared in unity. The double headstone provides peace of mind for the spouse that final arrangements for the adjacent plot have already been cared for. Creative designs can minimize much of the effect of the “half-empty” look and eliminate the ill feelings associated with a reserved double headstone. ​What is a standard inscription to write on a Jewish tombstone? What is a traditional Hebrew inscription for a Jewish monument? ​What do the two Hebrew letters פ"נ on the top of a Jewish monument mean? The two Hebrew letters stand for פה נטמן "Here Lies". ​​​What do the five Hebrew letters תנצבה on a monument mean ? ​​5 Hebrew letters stand for "May his/her soul be bound in the bond of eternal life"
​​How do I get the second side of an existing double headstone inscribed? ​​Can you guide me with what to write on a Jewish monument? Yes. ​​That is one of our specialties. We can guide you to create an inscription that will express your feelings in English, Hebrew or Yiddish. ​Call 800-994-3336 to speak with our knowledgeable staff. What do the two hands on a Jewish Tombstone mean? The Kohen Hands symbolizes the deceased was a Kohein (from the priestly family). The raised hands show reference to the Blessing the Kohanim bestow upon the congregation ("Birkat kohanim"). Note: The status of Kohen is transmitted from father to son. What does a pitcher on a grave marker symbolize? ​The Levite Pitcher symbolizes the deceased was a Levite. The Levites are honored to wash the Kohen's hands prior to the Kohen's blessing. ​Note: The status of Levite is transmitted from father to son. What does a Menorah, candelabra and two candles represent? The Menorah is symbolic of the Jewish women who have the honor to light the Shabbat candles. Some prefer two candlesticks. What are other common emblems for a cemetery monument? The universal symbol of Judaism, the Star of David is the most common emblem on a Jewish memorial. ​Ten Commandments - "Luchot", symbolize our connection to the "Torah" that was transmitted from G-d to the Jewish people through Moses. An Eternal Flame symbolizes the eternity of the soul. Do you do other emblems? We can create custom emblems to suite your needs. Do I need a rabbi for the unveiling service? A rabbi is recommended but not required. A rabbi lends formality to the service and with his experience will guide the family. If one chooses to do the service themselves, they should prepare a meaningful service before arriving at the gravesite. I am unaffiliated and would like a formal service with a rabbi. Who do I turn to? You may contact us and we will assist you. Does a monument need to be covered for an unveiling? An unveiling is not a traditional Jewish custom. Rather it is a modern innovation. What type of cloth should be used for an Unveiling? Any white cloth will do. A white table cloth is perfect as it has weight to it. ​In the tombstone industry we use cheese cloth as it is the most economical material. ​I am uncomfortable dealing on-line with faceless entities. We are a "brick & mortar" local reputable dealer. You can visit us at our showroom or we can provide you with references upon request. ​See our About Us​ and Testimonials pages. ​Can I order from you if I live out of state or out of country? Yes​. Regardless of where you live we can help you. ​Why should I buy from you and not my funeral home? Funeral homes are funeral specialists NOT monument specialists. JewishMonuments.Com specializes in Jewish monuments & memorials ONLY. We provide a superior product at a better price. Contact us and we will show you how we can do better. ​Why should I consider you and not my funeral home recommended dealer? We do not pay any funeral home commissions for their recommendations. Our prices are therefore lower. You may Contact us and we will show you how we can offer you a BETTER PRODUCT at a BETTER PRICE. ​Do you handle delivery and installation of the monument or do i have to? As Jewish monument specialists, we handle delivery and installation. ​Can I order a monument now? Yes. Call 800-994-3336 to speak with our knowledgeable staff. ​Or use our GENERAL INFO FORM and we will respond promptly and assist you.